Sprinklr had to figure out federated identity management across more than 30 SaaS platforms — the solution turned out to be Auth0. 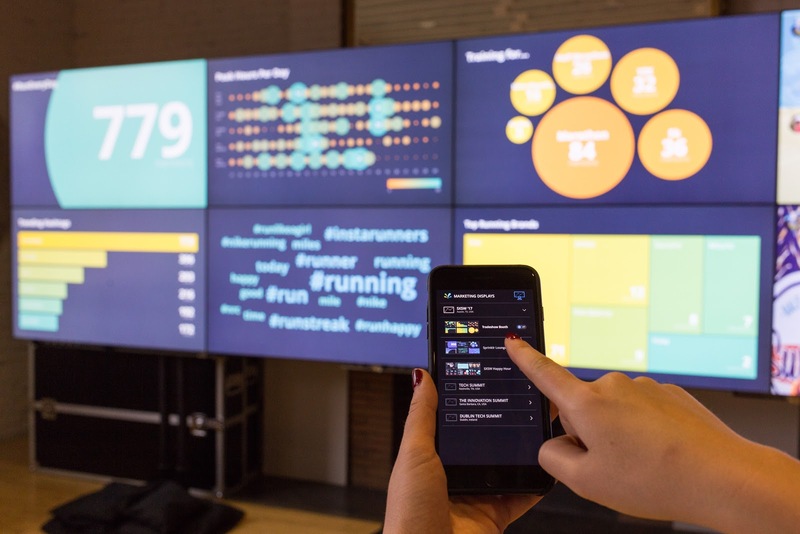 Companies like Nike, McDonald’s, Microsoft, P&G, and Samsung rely on Sprinklr’s customer experience management platform for a unified way to reach, engage, and listen to their customers on more than two dozen social channels, including Facebook, Twitter, and recently-added Viber. But creating that seamless and secure customer experience management platform for global teams meant that Sprinklr had to rely on a mix of numerous SaaS offerings combined with mission-critical Microsoft products. “We don’t have any of the traditional IT infrastructure that a company from 20 years ago would have had,” says Matt Tedder, Global IT Director, Sprinklr. Born in the cloud as a social-first software company, Sprinklr doesn’t rely on IT systems hosted internally. Sprinklr’s internal IT consists entirely of SaaS platforms, without Active Directory or a traditional internal domain. Because of this, there was no easy way for the company to federate logins to Microsoft services. Tedder wanted an easy way for Sprinklr employees to access it all. “We had to figure out how to standardize and simplify and federate everyone’s identity across more than 30 different SaaS-based platforms, and federate Microsoft logins,” he says. Tedder continued researching options — and hearing that it just wasn’t possible. “I researched this a long time and didn’t think there was a solution. I was on a fool’s mission to see if I could do it myself. I got 50% of the way there, and then Nico [Sabena] from Auth0 gave me free, crazy good support when I wasn’t even a customer, and we figured it out together,” he says. Going from a manual-touch to zero-touch implementation has lead to significant savings for Sprinklr. 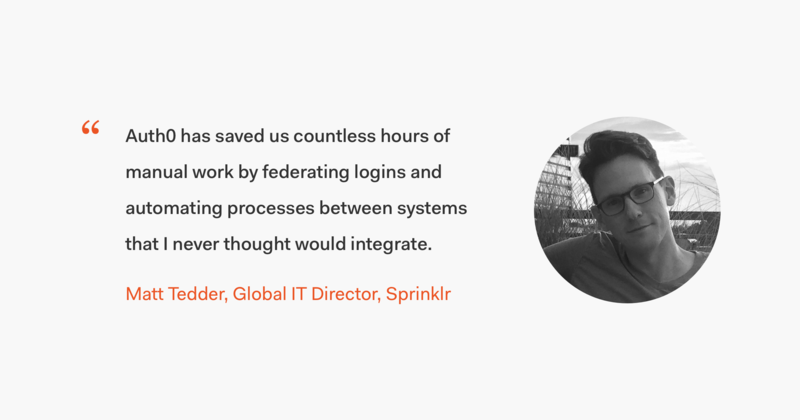 “Auth0 has saved us countless hours of manual work by federating logins and automating processes between systems that I never thought would integrate,” Tedder says. 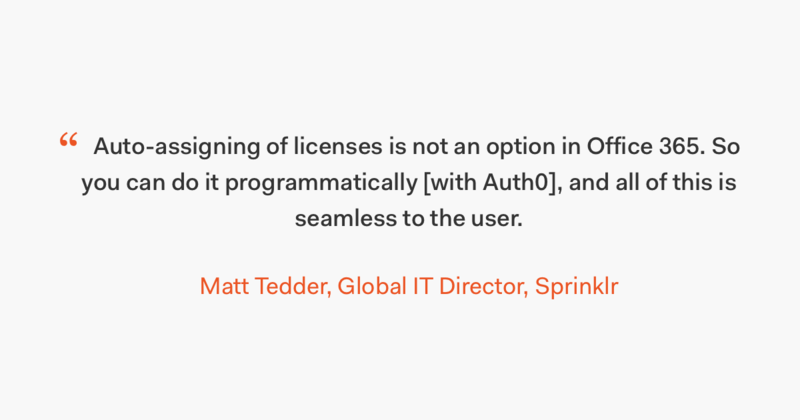 The Auth0 solution also provides Sprinklr’s developers with easy-access to additional Microsoft products like Power BI or Azure, which use the same Office 365 online authentication. “We want to become more closely integrated with Microsoft, and this helps us easily blend our work and interaction with Microsoft,” Tedder says.